The outlook for European growth and inflation is weakening while manufacturing in its deepest downturn in almost six years. The slowdown in global growth has continued through early 2019, forcing central banks to focus on downside risks to the outlook. Easing trade tensions between the US and China have supported markets but the Brexit issue remains unresolved, with the risk of a hard exit if a bipartisan deal cannot be struck. The slowdown in US growth in the early months of 2019 has been confirmed by incoming data and follows a sharp downturn in the last quarter of 2018. With inflation slipping back below the Fed’s target, markets have dramatically shifted their expectations for the next interest rate move, with a cut to the funds rate firming as a possibility. The Fed’s ‘dot plot’ showed that, as expected, members’ views have changed significantly since December 2018, with most believing rates should stay on hold through 2019. Core capital goods orders, an indicator of business investment, jumped 0.9% in January after two consecutive monthly declines before falling to -0.1% in February. Other economic data has been on the weak side, although March has seen some small signs of improvement. The ISM manufacturing PMI gave up some ground in February but recovered in March to 55.3, while the services PMI remains strong at 56.1. March non-farm payrolls delivered a strong result with 196,000 additions, which was ahead of expectations and a relief for markets following February’s shock result. Job cuts announced by US employers fell 21% in March to 60,587, but total job cuts over the March 2019 quarter have amounted to 190,410, which is the highest quarterly total since September 2015 and the highest first-quarter total since 2009. The ECB sharply cut its expectations for growth from 1.7% to 1.1% for 2019 and from 1.7% to 1.6% for 2020. ECB President Draghi referred to weak data from the manufacturing sector arising from a slowdown in international demand and specific factors, including Brexit, ongoing disruption in the auto industry, and the US-China trade dispute. In Germany, the manufacturing slowdown began in the auto sector in early 2018 and is now affecting the entire manufacturing economy, with February’s PMI recording the sharpest drop in new orders since April 2009. Inflation in the eurozone fell from an annualised 1.5% to 1.4% in March, while underlying inflation (less energy, food, alcohol and tobacco) fell from 1.0% to 0.8%. Manufacturing is in its deepest downturn in almost six years, offset by greater resilience in the services sector. However, the euro area is being supported by a strong labour market and gradually rising wages. Compensation per eurozone employee has picked up to 2.5% from the low of 1.0% in June 2016. UK Prime Minister May’s Brexit deal has been convincingly rejected by the parliament three times. If no deal is agreed to, the UK will face an exit date of 12 April. May’s plan is to negotiate with Labour leader Corbyn to craft a bipartisan deal that can pass the House of Commons and be presented to European leaders. The news out of China has been slightly more positive over the past month, with March PMI figures improving and retail sales growth stabilising. Certainly, Chinese shares have been more upbeat, rising 5.5% in March and more than 28.7% over the quarter. The decision by index provider MSCI to widen the inclusion of domestic Chinese shares has helped, while signs of progression on trade talks with the US and evidence that stimulus measures are supporting activity have also buoyed the market. Total social financing (a broad credit measure) showed a surge in overall credit in January, reflecting the stimulus measures put in place by the Chinese government. Industrial production remains soft, up just 5.3% year-on-year over the January-February period, while exports dropped sharply in February to be down 20.7% on the previous year. On the policy front, the National People’s Congress held its annual session in mid-March, with the major highlight being the downward adjustment in the GDP growth target from 6.5% to 6.0–6.5%. In his opening address, Premier Li Keqiang noted: “What we faced was profound change in our external environment” and that the trade dispute “had an adverse effect on the production and business operations of some companies and on market expectations”. The Nikkei Japan PMIs paint a mixed picture, with the manufacturing sector in contraction due to weak global and domestic manufacturing demand, while the services sector saw new business rising at the fastest rate in six years. The sales tax rise from 8.0% to 10.0% due in October and weakened global growth both present risks to the downside. Japanese exports fell 8.4% over the year to January, which was the worst performance in two years. Over the same period, exports to China fell 17.4% while exports to the US grew 6.4%. Core inflation, excluding food and energy, rose marginally to 0.4% in January from 0.3% and has been stuck in a 0.2–0.4% range since June last year. Despite recent rises in certain consumer products and a tight labour market, core inflation remains quiescent. Nonetheless, the Bank of Japan expects that consumer prices are “likely to increase gradually towards two per cent”. A week before the general election the Reserve Bank of India cut its main lending rate by 25 basis points to 6.00%, providing a sweetener to Prime Minister Modi. With inflation running at 2.6% year-on-year, well below the 4.0% target, the bank stated that the output gap remains negative while the global slowdown poses headwinds to the domestic economy. 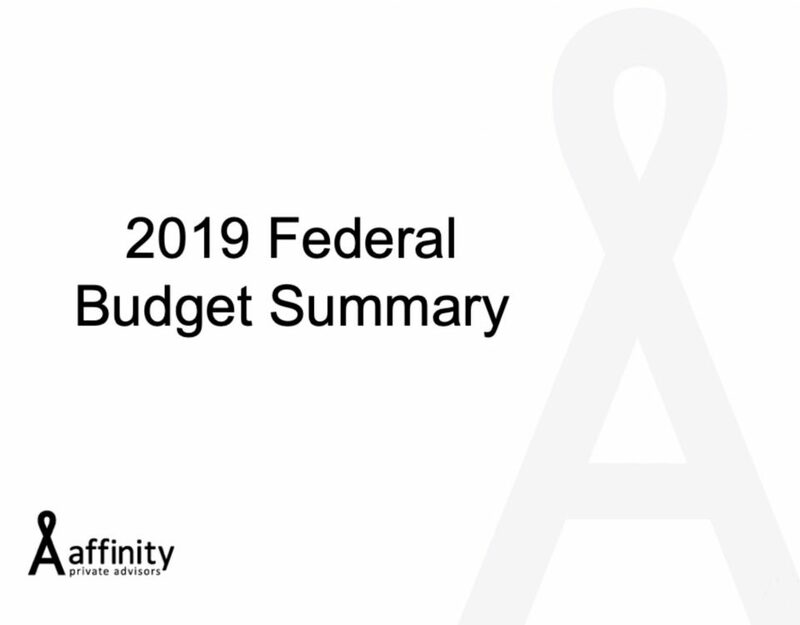 With the possibility of a May election, the federal Budget was handed down a month before the regular budget season, presenting tax measures to please key voter groups, a further boost to infrastructure spending, and the much-vaunted return to surplus. 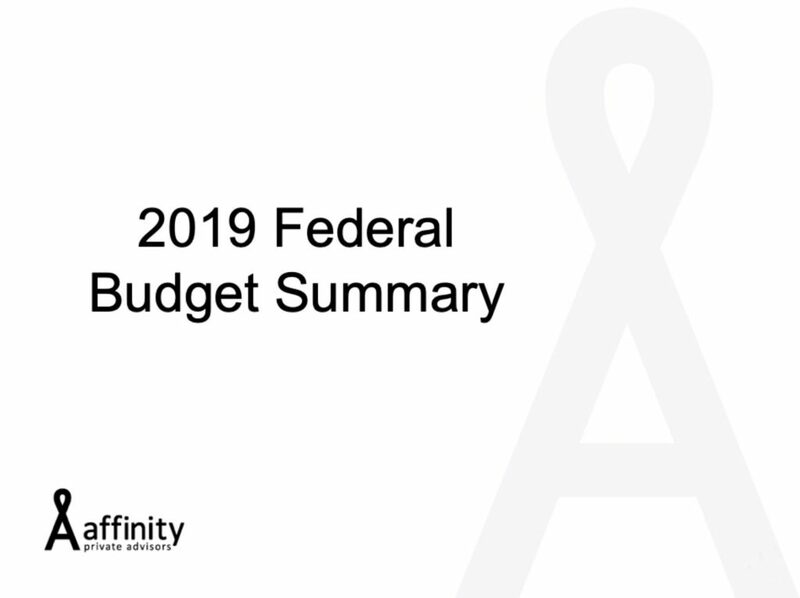 As expected, the underlying cash balance is forecast to return to a surplus of $7.1 billion in 2019-20, or 0.4% of GDP. The government is assuming GDP growth of 2.25% this financial year, rising to 2.75% in 2020-21 (with consumer spending forecast to grow at similar rates), but even these figures appear somewhat optimistic. GDP growth of just 0.2% was recorded in the December quarter, in line with the September quarter’s figure, leaving annualised growth at just 1.0% in the second half of 2018 compared with the 4.0% pace in the first half. With core inflation remaining below target, the shift in RBA policy bias from tightening to neutral seems totally justified. 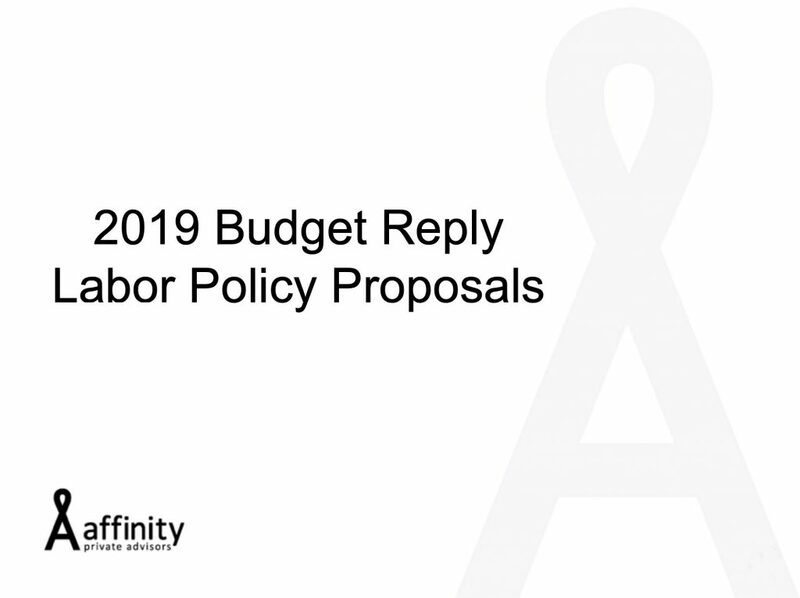 Indeed, the extent of the slowdown and the evidence for 2019 to date would suggest that the RBA might be in a position to ease policy at some stage in 2019. While public sector spending contributed positively in the second half, household consumption slowed to a 1.5% annual pace from 2.5%. Dwelling approvals data, which showed a 28.6% decline over the year, point to a 10% fall in residential investment spending over the next 12-18 months. The S&P/ASX 200 Index gained 0.7% in March and 10.9% over the quarter, while the federal budget threw up no surprises for the market. The US S&P 500 Index rose 1.9% in US dollar terms in March with the Fed almost certain to keep rates on hold through 2019. In Europe, the STOXX Europe 600 Index gained 0.7%, with the French CAC 40 Index up 2.3% and the German DAX 30 Index flat. In Asia, Japan’s Nikkei 225 Index was flat while China’s CSI 300 Index continued its rally, gaining 5.5%. Global developed market shares outside Australia rose 1.4% in Australian dollar terms while emerging market shares gained 0.9%. After rising 10.1% over January and February, the S&P/ASX 200 Index paused in March, returning 0.7% before regaining momentum in the first week of April. 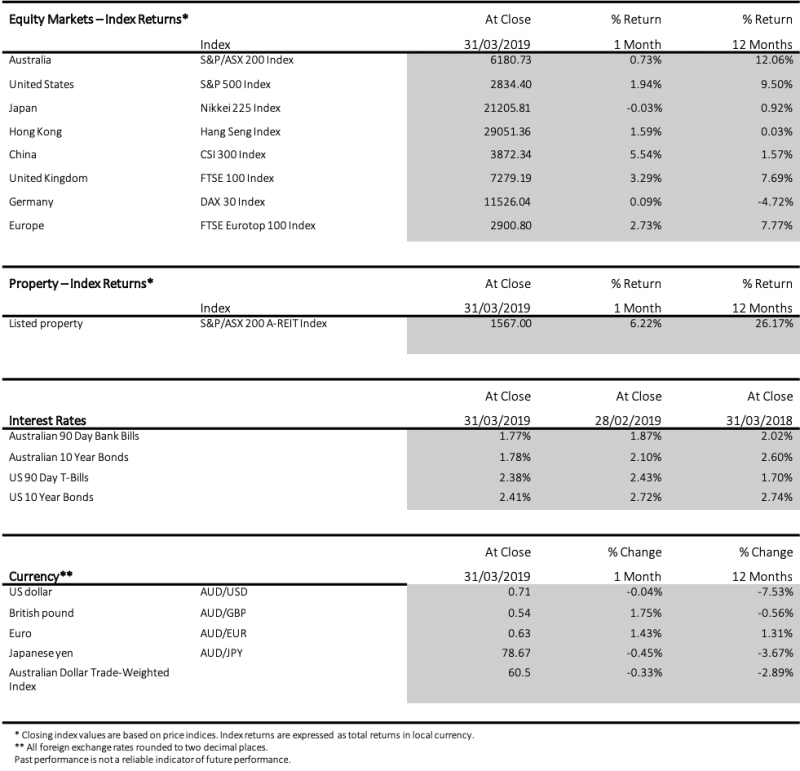 Over the past 12 months, the ASX has delivered a total return of 12.1%, driven predominately by the 50 largest shares, while the small cap index has returned only 5.8%. Outside of real estate, the top performing sector in March was Communications (+4.0%), with gains from Telstra (+6.1%) and TPG (+4.4%), which is still awaiting the ACCC’s approval for its Vodafone merger despite announcing its plans in August last year. The Consumer Staples sector (+3.9%) also did well over the month, with Bellamy’s (+36.2%) rocketing higher despite no significant announcements. Investors are possibly anticipating its SAMR accreditation which is required to sell Chinese-labelled products within mainland China. The two major supermarkets, Coles (+4.6%) and Woolworths (+6.0%), recovered from a disappointing earnings season, while GrainCorp (-5.9%) was lower through March but sprung back in early April as it announced the demerger of its global malting business. Energy (-4.1%) was the worst performing sector as investors were spooked by news of Chinese pushback against Australian coal, with New Hope Corp (-28.3%) suffering a large drop as minority shareholders pulled out. (-2.8%) sectors. After intense speculation, Germany’s two biggest banks, Deutsche Bank (-11.0%) and Commerzbank (-4.9%), finally announced that they are actively considering a merger. The ECB’s banking supervision board stated there would likely be significant conditions attached, while unions fear up to 30,000 jobs could be cut as a result. The UK’s FTSE 100 Index rose 3.3% in March as British MPs voiced their opposition to a no-deal Brexit and investors were hopeful a bi-partisan deal could be reached. In Asia, China’s markets continued to rally strongly through March on the back of stimulus announcements and progress in trade talks, with the CSI 300 rising 5.5% in March and 28.7% over the quarter. Australian listed property left other sectors in its wake in March with the S&P/ASX 200 A-REIT Index returning 6.2% with broad gains across the board. As the recovery in equities took some time out in March, the search for safe-haven assets continued, with investors attracted to the promising outlook for earnings and distributions in the A-REIT sector. Generally, debt levels are seen as sustainable and investors have even enjoyed a rise in Net Tangible Assets (NTAs) in recent months, especially in industrial and office assets, although retail still faces some significant headwinds. Diversified manager Charter Hall (+16.7%) was ahead of the pack in March, flagging a $100 million investment in Australian early learning centres. Stockland (+10.0%) was another solid gainer, making further progress on its non-core retail divestment strategy with the divestment of two major centres for $143 million. Shopping centres also fared well during the month, with gains from Shopping Centres Australasia (+9.5%) and Scentre Group (+6.2%). Globally, developed market REITs rose 3.8% in AUD hedged terms. In the US, REITs also experienced solid gains, returning 3.6% in US dollar terms, with gains from Diversified (+7.1%), Single Tenant (+5.5%) and Manufactured Homes (+4.7%), and falls from Hotels (-1.7%). While equity markets stabilised, bond markets sounded alarms for investors as rapid falls in long-term yields resulted in an inverted yield curve (historically a signal that a recession is on the way). The US 10-year Treasury yield fell from 2.72% to 2.41% over March, while the spread between the 10-year and 2-year yields fell as low as 11.8 basis points. In Australia it was a similar story, with the 10-year yield dropping from 2.10% to 1.77%, a decline of nearly 60 basis points since the start of 2019. Global bonds, measured by the Bloomberg Barclays Global Aggregate Index, returned 1.7% over March in Australian dollar hedged terms, while Australian bonds returned 1.8%. The majority of US Fed members believe the funds rate should remain where it is at a target range of 2.25–2.50% for the rest of 2019, compared to the previous quarter when only two members saw rates staying where they were. 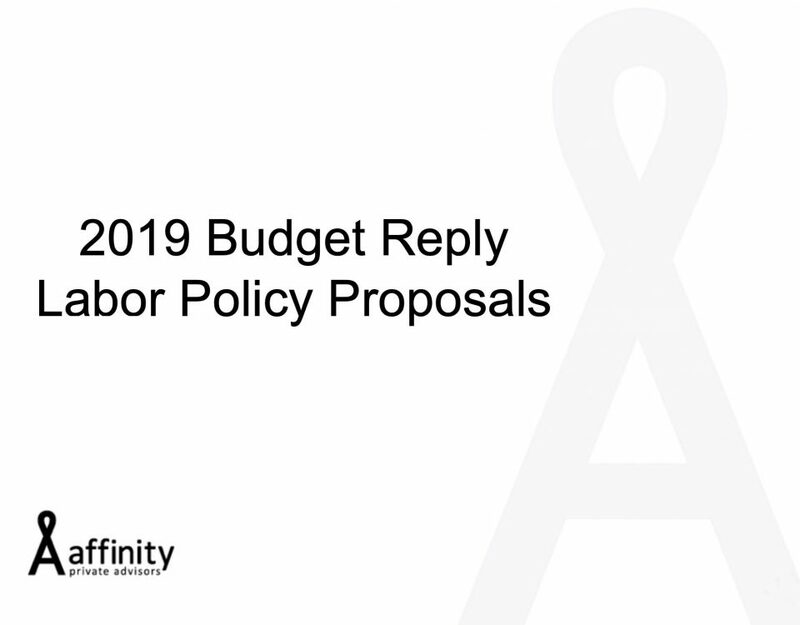 Looking forward to 2020, most members believe rates should rise by at least 25 basis points, but members are significantly more dovish compared to the previous quarter. In the UK, the 10-year Gilt yield fell from 1.30% to just below 1.00%, reflecting the global fall in rates as well as potential Brexit anxiety. In Japan, bond buying forced the 10-year yield from -0.02% to -0.09% as investors took cover from dimming global growth prospects. The Australian dollar was mostly flat against the US dollar in March, ending the month at USD 0.71. The Australian dollar was in decline against the US dollar for most of 2018 but has held above 70 cents over the past six months, supported recently by a softer US Fed outlook, which has eased fears of a widening interest rate differential. The Australian dollar rose against other major currencies during the month, including the British pound (+1.8% to 0.54) and the euro (+1.4% to 0.63) but was softer against the Japanese yen (-0.5% to 78.67). 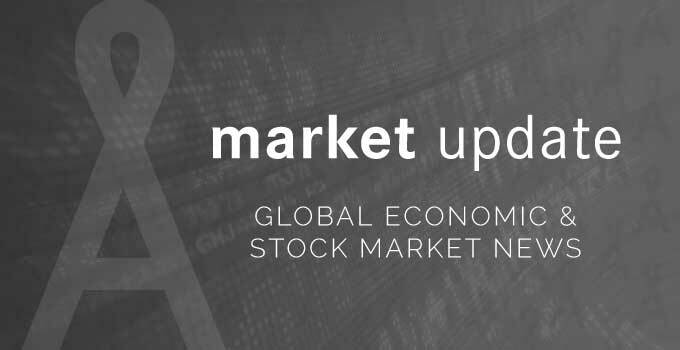 The information contained in this Market Update is current as at 12/04/2019 and is prepared by Lonsec Research Pty Ltd ABN 11 151 658 561 AFSL 421445 on behalf of National Australia Bank and its subsidiaries.